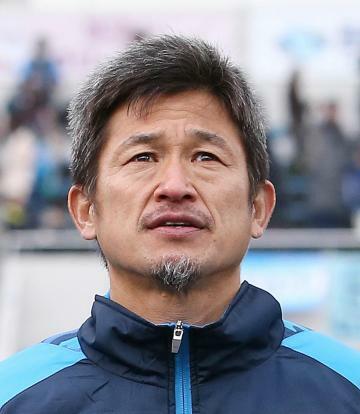 Former Japan striker Kazuyoshi Miura, who turns 52 next month, has extended his record as the J-League's oldest player after renewing his contract with Yokohama FC, the club said. Former Japan striker Kazuyoshi Miura. The veteran footballer, admiringly nicknamed "King Kazu" for his spirited onfield style, will kick off his 34th career season this year, the second division club announced Friday. "I thank fans for supporting me all the time," Miura said in a brief statement. "I want to work out at full stretch every day... and play as many games as possible by making every minute count." In 2017, Miura surpassed football's previous professional longevity record and became the oldest player to score a competitive goal in a professional match. Both records were previously held by English legend Stanley Matthews. Last year he played nine games for Yokohama but failed to score. Miura left Japan for Brazil in 1982 and signed a contract with Santos FC in 1986 to make his professional debut. He made his Japan debut in 1990 and pushed for the country's first ever World Cup appearance in 1998 but failed to join the final squad for France despite scoring 55 goals in 89 games for the national side. He was one of the stars of the professional J-League at its 1993 launch before joining Italy's Genoa on loan the following year. Miura, who has played for Yokohama since 2005, has said he wants to play on until he turns 60. Yokohama lost in the first division play-offs last year. Their 2019 season kicks off on February 24.